Home of the Brave – Stew Rd. 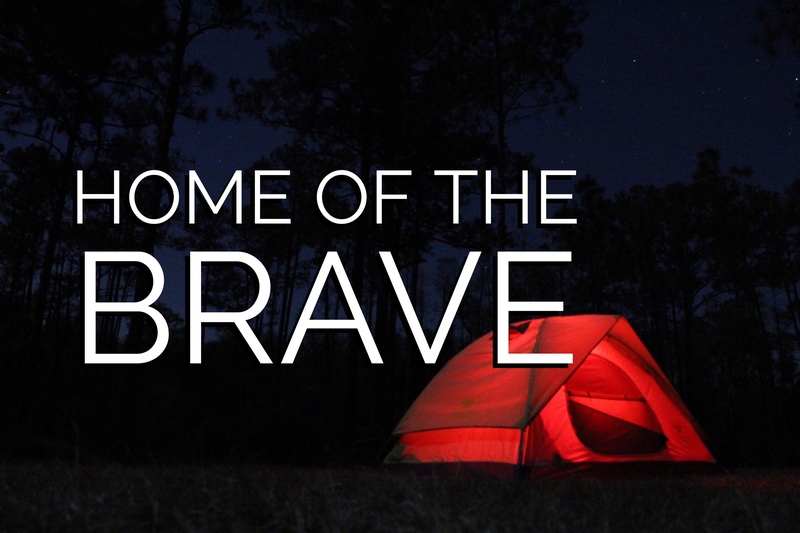 ** This article is an excerpt of the audio message “Home of the Brave”. What is the most difficult or bravest thing you will ever do in life? There are many things that come to mind, but I have come to the conclusion that the bravest thing we will do in life is to increasingly receive and give love over the course of our lives. In the United States, July 4th is a reminder of our freedom as a nation and we know the phrase “home of the brave” as the last four words of our national anthem. I am grateful for this nation and how God has blessed America, but I believe the “home of the brave” is a great way to describe a heart that chooses to live in love. How so? Jesus said in John 15, “Make yourselves at home in my love. That’s what I’ve done—kept my Father’s commands and made myself at home in his love.” So, if the home of our heart is supposed to be in Love how does that make us brave? 1 John 4:18 says “perfect love removes fear.” A heart at home in love is to make our aim to live with increasing levels of courage as love increasingly removes fear of loving and being loved. This may be news to you, but God did not create you because He had a love deficit and needed people to love and adore Him. No!! He had a love overflow within the Trinity and wanted to be able to give and receive that love beyond Himself! but because He had a love overflow! Question: HOW MUCH DOES GOD LOVE YOU? Answer: As much as you let Him! God absolutely loves you 100%. The percentage you receieve is entirely up to you. To live in love in the “home of the brave” requires trust. To be loved requires courage to be vulnerable. Contrary to conventional wisdom, the strongest you will ever be is vulnerable and the degree we can receive and give love is determined by our vulnerability level. The strongest you will ever be is vulnerable. Ephesians 3 (NLT) talks about “experiencing” God’s love. That word experience there is from the word “ginosko” which means to know, to perceive, feel and in the time it was written could have been a reference to a husband and wife “knowing” one another in sexual intimacy. If we are going to really “experience” the love of God, it means we will have to remove layers of fear and self protection. When Love Comes In… . ..
Just like Jesus encountered Paul on the road to Damascus, God wants to encounter us with His love on the road to De-Mask-Us! Babies are not conceived with layers of clothing on and neither is love truly “experienced” with layers of fear and self-protection. What does love bring when it enters a heart or a situation? We typically think of “nice” things like comfort, help, affirmation, encouragement or provision and those things are all true and will come. But, do you know what the very first thing Love does when it enters the room? Once we open the door (because love waits until we let him in, Love doesn’t force itself on us), we may be expecting a nice hug at the door but Love is marching straight past us to take care of business first. Love is on a B-line straight to the dark corner where Fear is hiding to throw it out the front door before anything else happens. Why? Until Fear is evicted, we can’t receive all the good things Love brings in. When Love enters our situation, sometimes it will feel like all hell is breaking loose instead of warm and fuzzy. Why? Because hell is breaking loose! The lies of fear and false security systems being dismantled and evicted by Love, can cause a quite an internal scuffle (which can make for external friction) until they are removed. Just like Paul was changed into a new man in Acts 9 when he encountered Jesus, encounters with His love on the road to De-Mask-Us will change who we are as the lies are removed and we are made whole and stengthened by love. Here’s a questions for you: What do Affection, Comfort, Affirmation, Protection, Direction and Correction all have in common? In order for us to have them and reap the benefits of them, they all must be recieved. Love is great but if we leave Him on the front porch knocking on the door of our hearts, it is ineffective. The key to love being effective in our lives is receiving it. DARE to trust. The ceiling to the love we are receiving is our trust level with God and others. Love can be spelled R-I-S-K. I am not saying to trust untrustworthy sources, but God and those who are for you. Trust them and dare to trust some more. Ask God for eyes to see Love. If we have been listening to Fear, he has been telling us to keep the door locked when Love arrives. We actually don’t see Love for what he is, we see a risk that is beyond the safety of our control. Where there is fear there will be control and part of receiving love is letting go of control caused by fear. Open the door. Love always knocking on the door of our hearts to extend an invitation to something more but we have to open the door. It may be a simple prayer, “God, I respond to your invitation and open the door even now and invite more of your love.” It may be letting go of hurt or bitterness toward someone so you can move forward to grow a relationship. Agree with Love. The truth is you are 100% loved. We are all completely loved by Father God and. …. most all of us have people that truly love us. Often we get hung when there is someone we want to love or like us and they don’t or not the way we want them to. Am I loved and do I get what I want are 2 entirely different things. I am loved deeply by God, family and friends but I don’t always get what I want or “loved” the way I would like. But, that does not change the fact that I am loved. One of the ways we agree with love is to say it. It may seem simple but simply saying out loud, “I am loved. God loves me deeply. My spouse, kids and _______ love me deeply.” Words are not magic, but they are important. Our words reveal what our heart truly believes. Ask for more. I love this prayer, “May the Lord direct your hearts into the love of God and into the steadfastness of Christ.” 2 Thessalonians 3:5. One of my prayers for me and others is for “breakthroughs” and encounters with God’s love like Paul on the road to Demascus. God loves to answer that prayer and He will, although it probably won’t come exactly like you expect it to at first. Get Ready! If you begin to do those simple steps, get ready. I promise your life is about to change. I am praying for breakthroughs of love for all who are reading this, send me a message when things begin to change! Previous Are You Difficult To Care For?